Commonwealth Day is an annual observance held on the second Monday in March. Each member of the Commonwealth of Nations celebrates it in its own unique way, there is no uniform observance. The precursor of Commonwealth Day was Empire Day. It was established in 1904 and was originally celebrated in May. 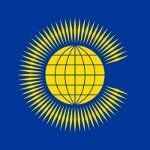 After the British Empire ceased to exist and the Commonwealth of Nations (originally the British Commonwealth) was instituted, Empire Day was renamed Commonwealth Day. This happened in 1958. Since 1976, the holiday has been celebrated on the second Monday in March. On Commonwealth Day, a multi-faith service is held in Westminster Abbey in London. It is attended by the British Monarch as Head of Commonwealth who delivers an address. Every four years, the Commonwealth Games are held. They are similar to the Olympic games, but only members of the Commonwealth can participate. Commonwealth Day is a public holiday in Tuvalu, Gibraltar, British Virgin Islands, and Turks and Caicos Islands. In the rest of the member states, it is not observed as a public holiday. Nevertheless, in many member states flag-raising ceremonies are held. The Monarch's speech is broadcast throughout the Commonwealth.